Dogs competed in the 143rd annual Westminster Kennel Club Dog Show, and they’re all winners in Twitter’s eyes. The 143rd annual Westminster Kennel Club dog show is taking place in Manhattan, New York City, and social media users have fallen in love with the very talented dogs. The show, which includes the Westminster Masters Agility Championship and the annual Westminster Kennel Club Dog Show, seeks to find the best pups in different categories such as toy and herding breeds… but to viewers every dog is a winner. Particularly loved by Twitter users was Gabby the Papillon, whose performance in the agility championships captured several hearts, as well as the 8″ class title. "GABBY" the Papillon takes the 8" Class Title! 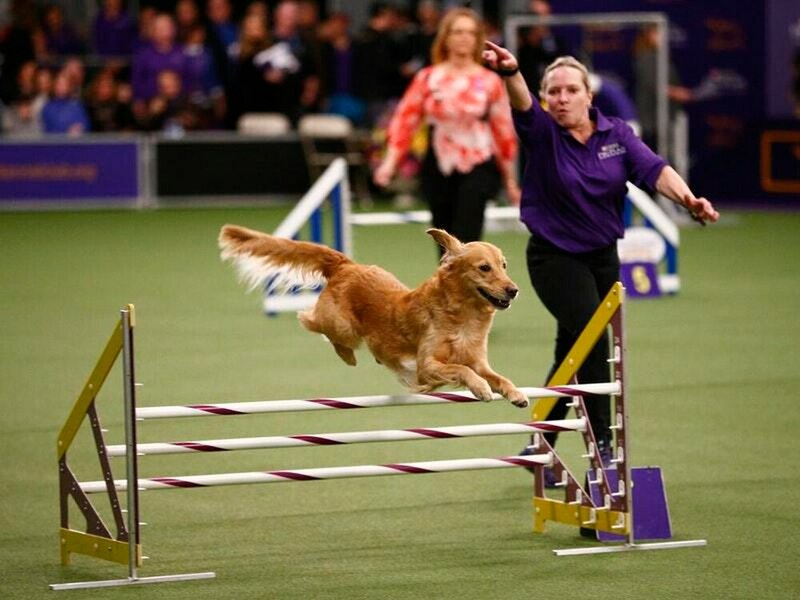 A re-post of the talented pup’s performance at the show joked that the pup had reached “peak dog performance” and gained over 8,000 likes on the website. Breeds including Yorkshire Terriers, Golden Retrievers and Bernese Mountain Dogs will take part in breed and group judging with the best-in-show winner crowned at New York’s Madison Square Garden on Tuesday night. This year’s dog show features two new breeds not featured in the competition before, the grand basset griffon Vendeen and the Nederlandse kooikerhondje. Established as a dog show, the competition now includes the Masters Agility Championship and the Masters Obedience Championship. It is expected that more than 3,000 dogs will enter the competition over the course of Westminster Week.